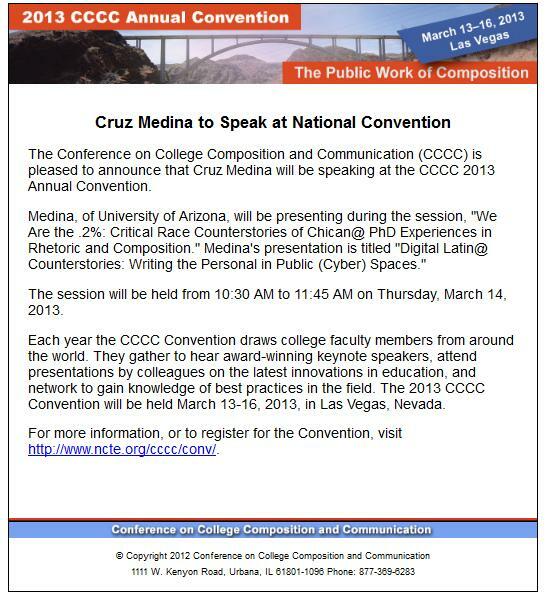 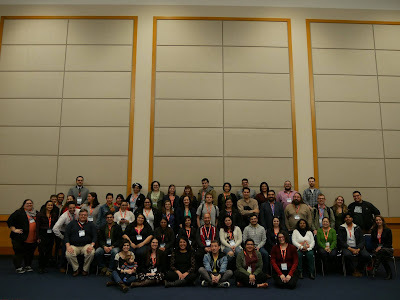 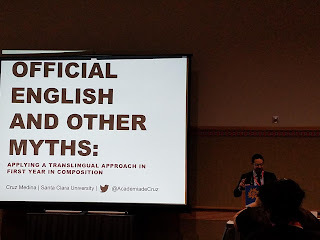 This past week, I presented on a panel with Ana Ribero (Oregon State) and Genevieve Garcia de Mueller (UT Rio Grande Valley) at the College Composition and Communication Conference (CCCC) in Portland, Oregon. 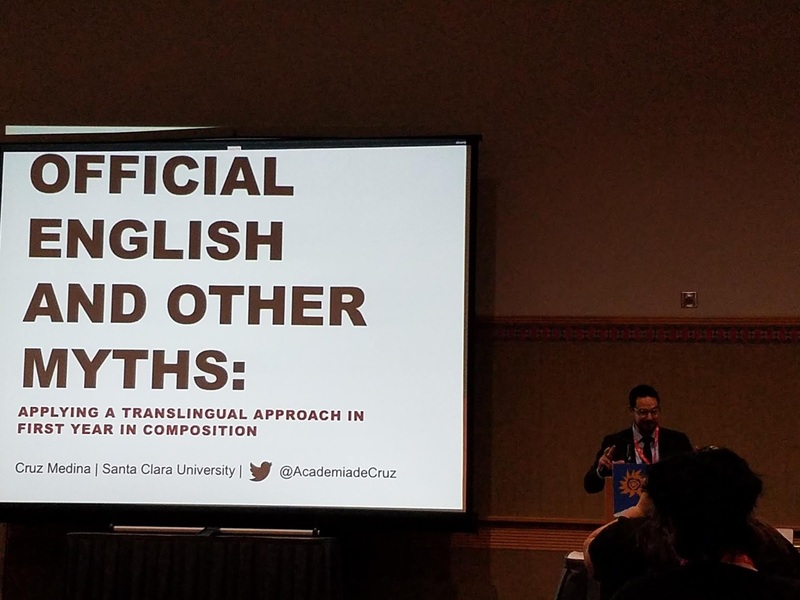 Below is a photo of my title slide, where I am introducing my talk on the first year writing class that I teach with my colleague Juan Velasco that is in Spanish the first quarter and English the second quarter when I teach it. 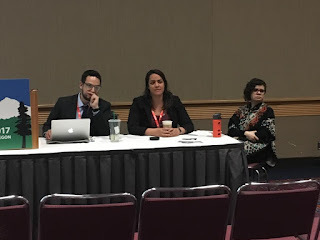 I was particularly honored to present alongside Ribero who discussed DREAMer activism and was of reimagining activism, as well as Garcia de Mueller who discussed the B3 (bilingual, bicultural, binational) education that will be implemented next year at her university in coordination with the department of Education. 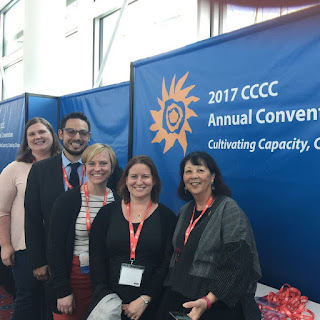 My department had a great showing of rhetoric/composition faculty with Simone Billings, Amy Lueck, Denise Krane, Trish Serviss and Julia Voss in attendance (not pictured). 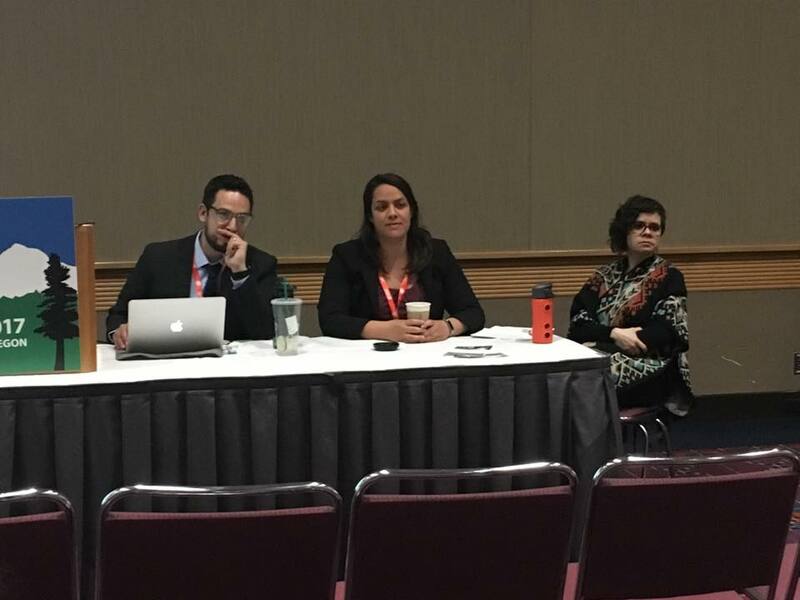 The Latinx Caucus had an amazing workshop with first-time members presenting on really interesting topics and the caucus business meeting was a collection of energetic scholars at different points in their career with great news from folks who were on the job market.